Italy’s former prime minister has announced his decision to run for the European parliament in May elections. Although scandals dominated much of Berlusconi’s time in office, he never distanced himself from politics and chose to continue leading Forza Italia, however gave up his Senate seat after a 2012 law prohibited anyone sentenced to over two years in prison from running for public office for six years. This followed news of Berlusconi having been found guilty of committing tax fraud. Nonetheless, Berlusconi had been allowed to run again when a court last year ruled that his good conduct had paid off. As TIME reports, Berlusconi evidently hoped that the League, having been a junior partner in all his governments, would ultimately abandon the 5-stars and return to the traditional centre-right system. 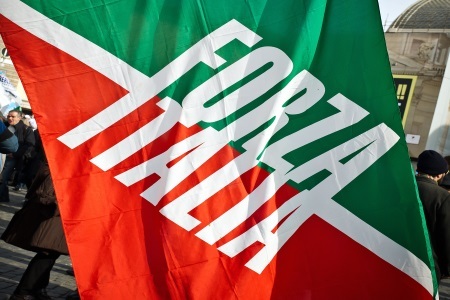 Forza Italia lost many of its supporters when the anti-migrant, nationalistic sentiment gained popularity across Europe in recent years. “At the beautiful age I have, I’ve decided out of a sense of responsibility to go to Europe where profound thinking about the future of the world is missing,” said Berlusconi.